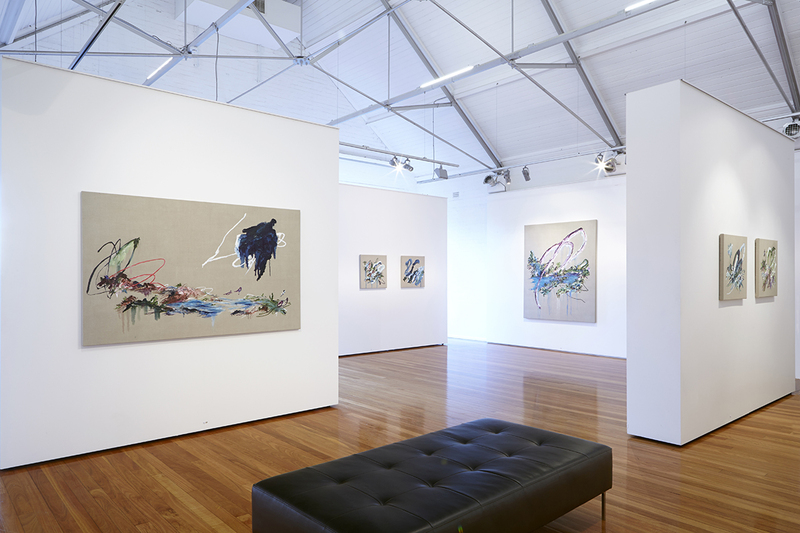 Established by art collector and philanthropist Luisa Catanzaro, Artereal Gallery is an important asset to the contemporary art scene in Sydney. The gallery showcases a daring curation of pieces in a large spectrum of mediums. With works from both local and internationally established artists, as well as emerging talents, it certainly doesn’t lack in variety. We caught up with Artereal’s manager, Rhianna Walcott, to find out more about the gallery. Your website states that you built up ‘some serious street-cred for presenting risk-taking and stimulating exhibitions.’ In what ways have exhibitions been risk-taking? Do your shows often court controversy? Since the gallery first opened ten years ago, we have presented a number of risk-taking exhibitions – presenting cutting edge work by artists working with unusual materials and experimental processes or with challenging ideas. 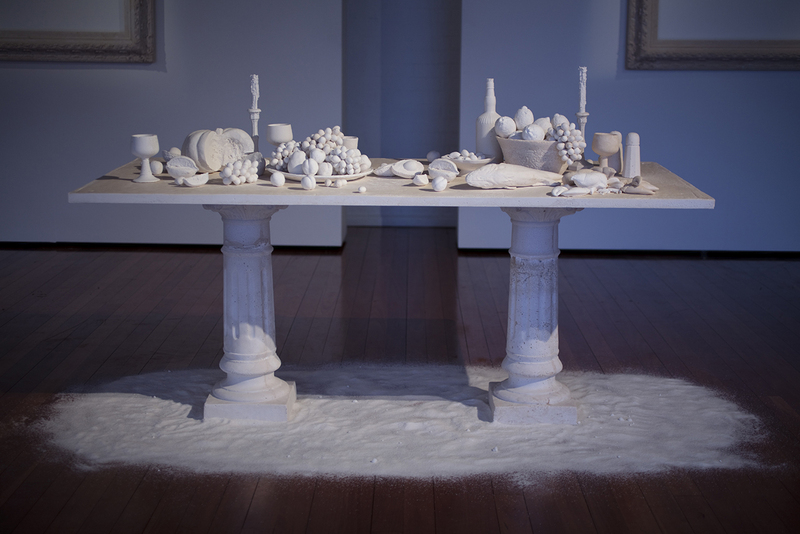 We were the first commercial gallery to show Ken + Julia Yonetani’s salt installations – a series of works made entirely from Murray River salt which commented on the environmental cost of contemporary farming practices, issues such as salinity, and the implications of our consumerist lifestyle and food consumption habits. Later we also showed Ken + Julia Yonetani’s Crystal Palace series of radioactive chandeliers made from Uranium glass – a powerful large scale installation, which responded to the disaster at Fukushima. 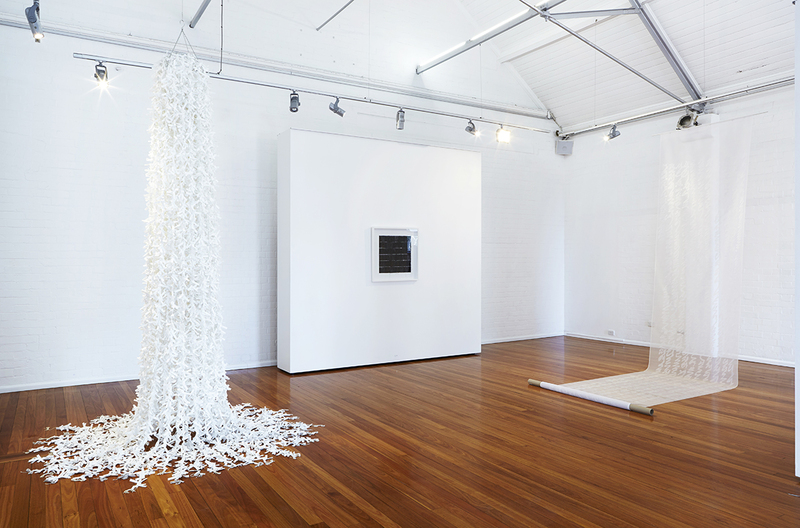 We have also presented exhibitions by performance artists such as Noula Diamantopoulos, Liam Benson, Francis Thorburn and Sylvia Schwenk – exhibitions which have brought contemporary performance practice to the forefront in a way that is often missing from the commercial gallery scene within Australia. We have also worked with artists like Michael Pybus (UK), Noraset Vaisayakul (Thailand) and Tully Arnot (Australia) to present new media work, which explores and pushes the boundaries and intersections between art and technology, work which sits outside the parameters of what people would traditionally expect to encounter in a commercial gallery context. Do you have any particularly unusual stories from the gallery? We’ve had some interesting moments over the years! From the time we had an absailer hanging from the rafters in the gallery, helping to install Ken + Julia Yonetani’s enormous salt chandelier, to the time that Gary Deirmendjian had to take his laser-cut polystyrene sculptures into the shower here at the gallery to wash them prior to their installation. What kind of balance do you strike between emerging and established artists? Artereal Gallery works with a number of emerging artists and we actively cultivate opportunities to do so. We offer a prize each year to one Honours student from Sydney College of the Arts and mentor the winner for one year before presenting a solo exhibition of their work. We are always keeping our eyes open for emerging artists and are passionately committed to working with artists during the early stages of their careers. Over the last decade we have seen a number of these artists grow and develop successful art practices – people like Liam Benson, Michael Staniak and Anna Carey. 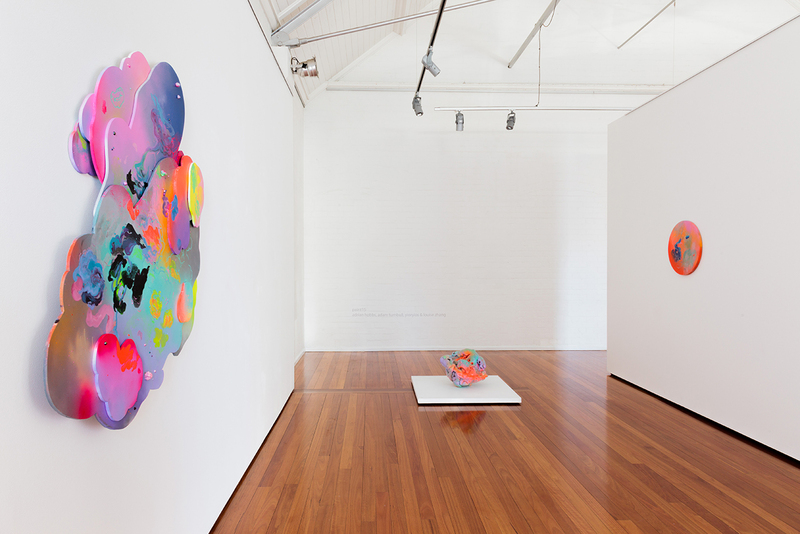 We also work with a number of established artists, Australian and international, such as Jess MacNeil, Aziz+Cucher, Christopher Bucklow and Simone Douglas – artists whose work is collected and exhibited internationally and whose work has now entered a number of prestigious institutional collections. Does the broad range of mediums you show bring in a more diverse audience? I think so, yes. Artereal has built a reputation for showing exhibitions which vary significantly from month to month. We can go from showing the seductive and elegant glass and wood installations of Stevie Fieldsend to showing Louise Zhang’s hyper coloured paintings and sculptures that engage with the monstrous and the grotesque. This brings in a very different audience of art lovers from month to month, but we love that, it keeps things exciting and ever-changing. Where would you advise culture lovers to go in Sydney? Sydney has such a vibrant and dynamic contemporary art scene – it’s hard to know where to start when writing a list of recommendations! But some of our favourite haunts include White Rabbit Gallery, Alaska Projects, 4a Centre for Contemporary Asian Art, Artspace and Firstdraft. We are also big supporters of the Museum of Contemporary Art Australia, and they have a wonderful program called the MCA Young Ambassadors that I have been a part of for nearly six years now – definitely worth checking out for ‘culture lovers’ or anyone looking to become more engaged with the contemporary art scene in Sydney. Well, lets begin with the following disclaimer and warning that my answer to this one will clearly be biased! Apart from each and every one of Artereal’s wonderful artists (all of whom are favourites) I am also following the work of Zan Wimberley, Nyah Isabel Cornish, Terrence Combos and James Little with a lot of interest – and incidentally all three will have their first solo exhibitions at Artereal later this year. I’m also a long-time fan of artists Tom Polo, Jodie Whalen, Daniel Hollier and Criena Court. If you could have one work hanging in your living room what would it be? My answer to that question changes almost daily! But right now I would love one of Michael Staniak’s large-scale paintings which investigate the way in which the internet and contemporary technologies intersect with and transform the way we create and view contemporary art. What does the future hold for Artereal Gallery? Right now we are in party mode, celebrating our tenth anniversary and pausing to look back and reflect on how far the gallery has come and how we have grown and changed! We are also looking at where we would like to take the gallery and our artists over the coming decade – an ongoing and exciting conversation! Moving forward we would like to increasingly show our artists on an international stage and will be looking to create new opportunities for the gallery overseas. But for the most part, the next decade will be about staying true to the DNA of Artereal Gallery – continuing to do what we do best, in our own way – whilst also continuing to embrace change, take risks and try new things. 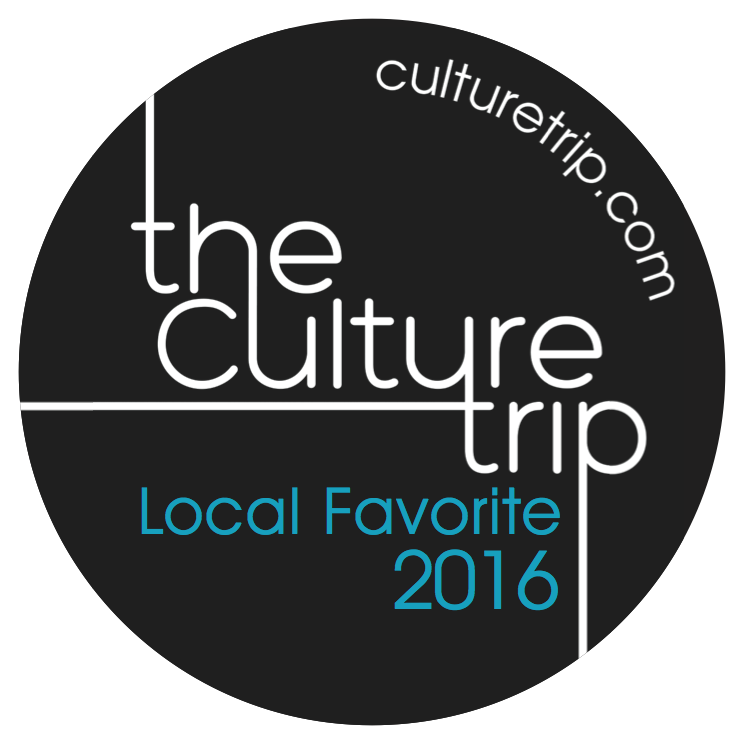 Artereal Gallery is one of the winners of The Culture Trip’s Sydney Local Favorite 2016 Award. The Local Favorite badge is awarded to our favorite local towns, restaurants, artists, galleries, and everything in between. We are passionate about showcasing popular local talents on a global scale, so we have cultivated a carefully selected, but growing community.